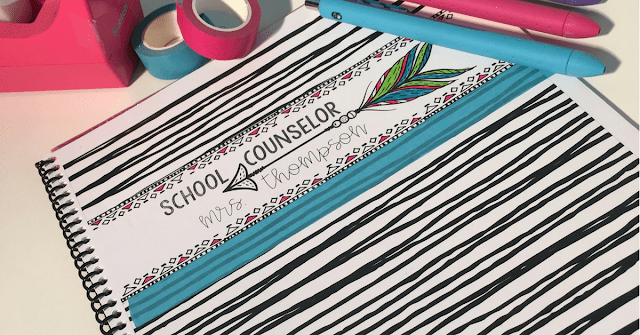 After five years of tweaking, I have finally finished another revision of the editable school counseling planner that I make each year. I want to share with you some tips for setting up your planner. Setting up your planner is easy. You just open the editable file in powerpoint, choose the pages you want and delete the others. You can also move pages around and copy and paste as many pages as you need, in the order that you want. Once you have it the way you want it, save it as a pdf file. Next, either take the file to a local print shop, print it yourself to place in a binder, or upload the file to an online print company that will print and ship to you. You will want to choose a thicker than average paper thickness, print it front to back, and choose the type of binding that you like. For paper thickness, I go with 28lb or higher. I prefer the black coil binding. I try to catch Vista Print when they have a nice coupon code. Other times, I have used Staples online and Office Depot. If you need assistance, please leave a comment and I will answer your questions. The year plan is crucial for our comprehensive school counseling program. It allows us to see quickly and clearly if we are including all of the elements recommended by the American School Counseling Association. At the beginning of the year, after our needs assessment, we have a counseling meeting in which we decide what topics we will teach each month. We also plan ahead for the yearly small groups that we will run and any big events or speakers we many have that year. Even if we tweak it through the year, at least we have enough time to plan for the events without any last minute rush. 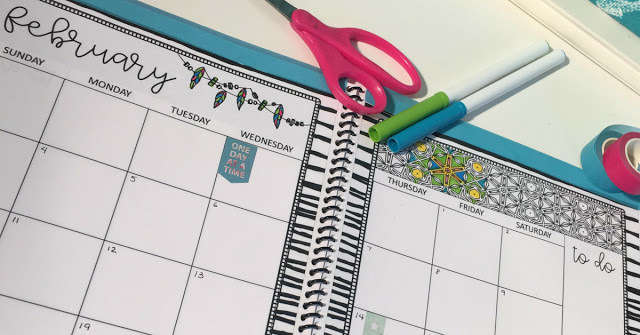 You can choose to start your planner at any month. I use a pencil to keep a list of my endless passwords. Otherwise it ends up being a hot mess by the time I change passwords a dozen times throughout the school year. I realize you can also do this online but I also like to keep a hard copy just in case. I use these pages for staff meeting notes and to do lists for each month. You can choose to color the zen designs or leave them black and white. 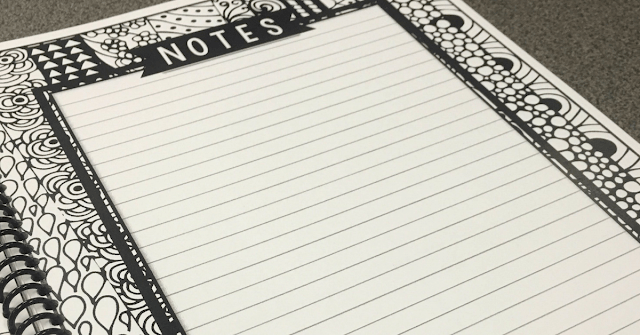 You can add as many note pages as you like after each month and put additional pages in the back for annual notes. I’ve decided I cannot live without this piece of my planner. Coloring is a true stress reliever. Also, with so many meetings that we attend that are geared for teachers, I like to be able to doodle and color to pass the time and stay awake. I laminate the first page of my planner so that I can use it as a wet erase board. I use wet erase markers rather than dry erase because the ink will stay put when you close your planner. I keep a list of students that I need to check on that week. I will check their schedules and write down the best time of day to catch them as well. I also keep lists of upcoming deadlines and other hot topics. Every year I keep a list of current community partners, vendors, speakers, local social workers, mental health organizations, and any other business partners. You can also use this page for parent contact information. Many of the forms included in the planners were born out of necessity and requests from counselors and teachers. 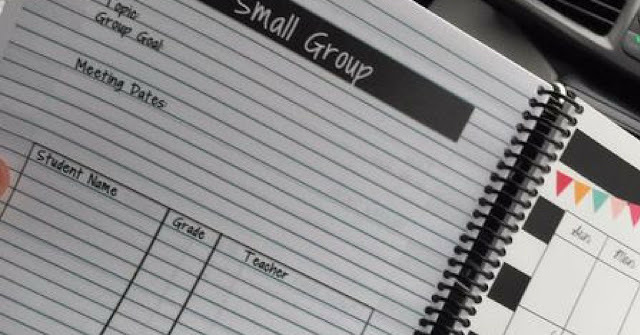 For example, the small group planning page was created out of necessity one year when I needed a place to keep track of my groups. The teacher planners have forms that I found necessary when I was a teacher. I add new requested pages each year when I update the planners. 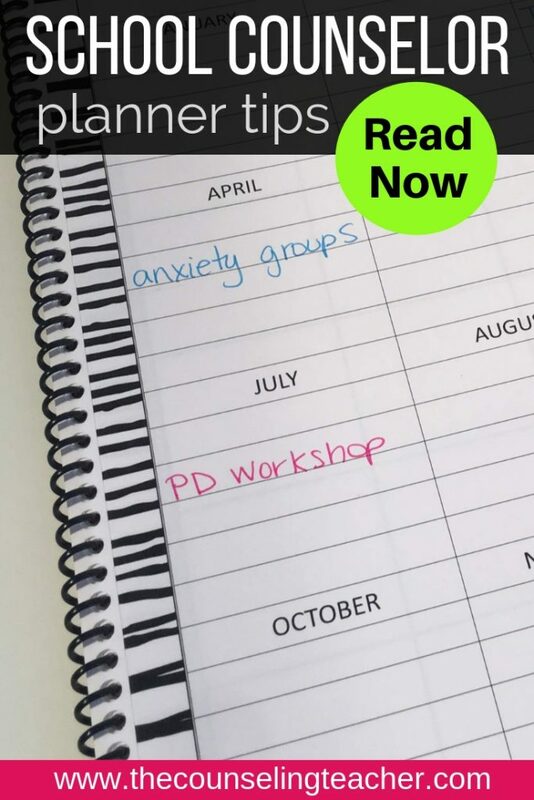 The daily planning pages with editable time slots was requested multiple times. 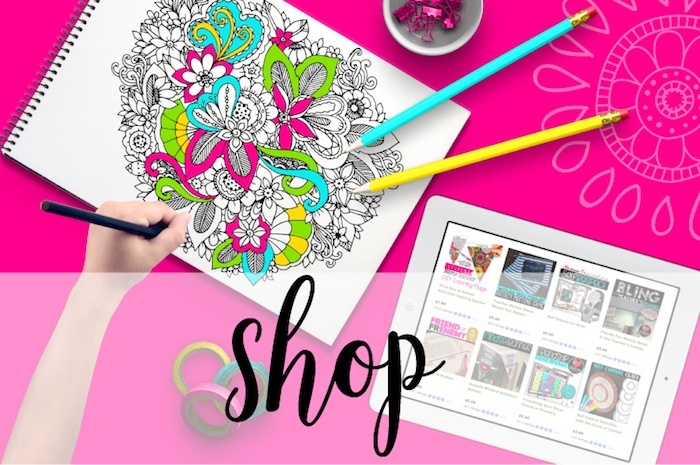 I am always open to adding custom pages if you need something that is not already there. 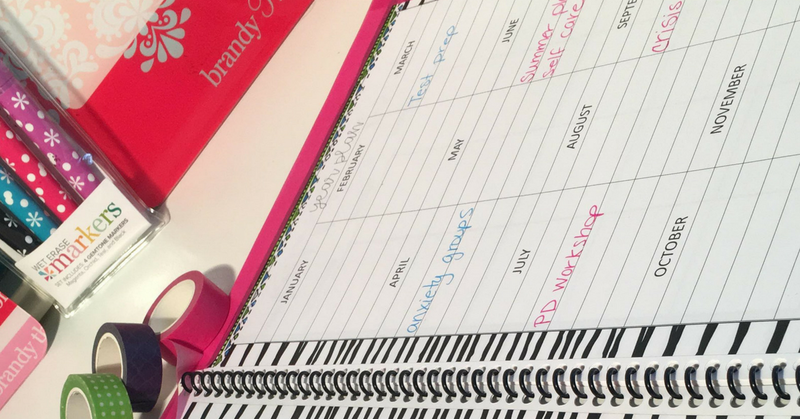 Have any planner tips of your own? Please share them in the comments. Click here for a free printable planner pages.